We are excited to announce today that we have teamed up with Roku to launch a new SHOWTIME interactive application for Roku devices featuring HD-quality promotional content from the critically-acclaimed hit SHOWTIME series SHAMELESS and the new comedy series HOUSE OF LIES. The newly launched video offerings feature free sample episodes, highlights, behind the scenes interviews and webisodes delivered directly over-the-top to Roku devices via Brightcove Video Cloud. Based on the long-running hit UK series created by Paul Abbott, SHAMELESS centers around the dysfunctional Gallagher family and stars Emmy® Award-winner and Academy Award® nominee William H. Macy and Golden Globe® nominee Emmy Rossum. HOUSE OF LIES is the new dark comedy based on the screwed up ways big businesses practice these days and stars Academy Award nominee Don Cheadle, Kristen Bell, Ben Schwartz and Josh Lawson. Showtime Networks is the first organization to take advantage of a newly released sample reference application built by Brightcove, Roku and A Different Engine, a leading San Francisco-based interactive agency. The app is designed to make it easy for Brightcove customers to deliver content to the Roku platform and reduces the amount of time involved with user interface design, development and QA. This enables organizations to quickly take advantage of the fast-growing audience using the Roku platform. The app also provides a simple user interface that follows Roku's navigation conventions and built-in connections to Video Cloud playlists. Publishers can also sell their apps if desired using Roku's subscription system. "We are excited to work with Brightcove and Roku to promote some of our most popular programming to the fast-growing Roku community. Our strong relationship with Brightcove and use of the Video Cloud platform makes it easy for us to bring our video content to new platforms like Roku and expand the reach of our initiatives." "Partnering with Brightcove is a great opportunity to bring the dynamic, high quality content that Brightcove customers are publishing on their websites to the Roku platform. 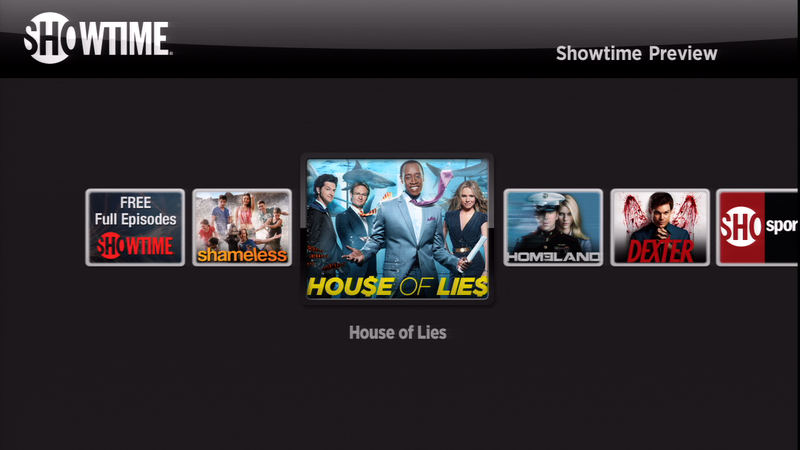 SHOWTIME is home to some of the most respected programming on television today, and we are excited to be able to give our customers access to great content from SHAMELESS and HOUSE OF LIES." Learn more about how Brightcove is helping customers around their world deliver their video content to connected devices like Roku at http://www.brightcove.com/en/solutions/connected-tv.